Kanade is a high school student currently sharing a dorm room with her twin sister Yukino. 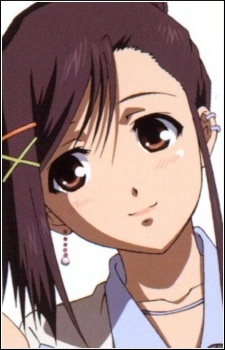 She is more pragmatic and less easy-going than Yukino and tends to get exasperated a lot, especially when it comes to the advances of her kouhai. She is also somewhat easy to ruffle emotionally. She often worries that Yukino is sacrificing herself for her benefit. Kanade is an artist and wants to pursue art studies, however, she understands that it would be difficult to pursue a career in the field and maintain a close relationship with Yukino. Her little sister Shizuku is closer to her than she is to Yukino, however Kanade is more distant with the younger girl and does not make the same amount of effort as Yukino to be closer to Shizuku.